Advanced Direct Digital Manufacturing | Met-L-Flo Inc. Here at Met-L-Flo Inc., we have been providing 3D printing and prototyping services for over 25 years. Some of our prototyping methods include Fused Deposition Modeling (FDM), Vacuum Forming, and many more. We utilize Direct Digital Manufacturing to help turn your design concept into a prototype. A prototype using state-of-the-art processes to prepare your design for the production process. Our advanced Direct Digital Manufacturing can turn your concept into a prototype in a matter of hours. If you have any questions about advanced Direct Digital Manufacturing or are in need of consulting on product design, engineering, or inspection and metrology, call us today at 1-800-MET-L-FLO. You can also fill out the contact form on the right and we will get back to you shortly. 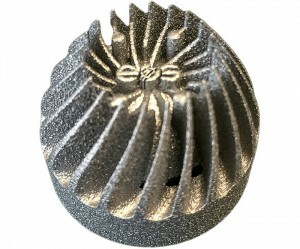 Advanced Direct Digital Manufacturing uses 3D design files to create computer controlled parts, which assists in shortening the gap between prototyping and production. Our Direct Digital Manufacturing services help you focus on the advancement of your design. Vacuum Forming – Produce large and small shallow surfaced plastic parts through thermoforming. Fused Deposition Modeling (FDM) – We have a variety of materials to assure the best match for your application. Injection Molding – Our injection molding processes can handle most designs without the need to alter your geometry. Machining – The preferred process when you need material specification, high precision accuracy, and production grade finishes. One of the many benefits of advanced Direct Digital Manufacturing is the quick turnaround. In many instances your prototype can be completed in a matter of hours, allowing you to spend more time advancing your design. For more information on Direct Digital Manufacturing or for a quote, call us today at 1-800-MET-L-FLO. Or you can simply fill out the contact form on the right and one of our knowledgeable representatives will reply shortly.